A friend of mine recently forwarded me this link to a story about two women who discover they are linked descendants. This story is not unusual to those of us who post on BitterSweet: Linked Through Slavery. If anything, it reminds us that this “searching for each other” is happening all over the country, perhaps more often than we can imagine. For those of us who are linked, it is undeniable that we are emotionally drawn to one another. Many of us have spent decades tracking down our counterparts and have stepped far out of our comfort zone to acknowledge the legacy of slavery within our very families. Ann Walling owns Borderland Farms in Franklin, TN, not far from Nashville, and created a nationally recognized program called Diabetic Alert Dogs: The Borderland Way. She was also an Episcopal priest. 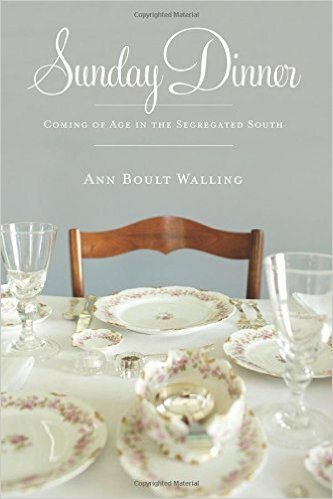 While writing a book about her family’s Southern history, Sunday Dinner: Coming of Age in the Segregated South, her research lead her to Andrea Scott, a great grandchild of Mary Jane Fairfield Hodges Perlina Green Scott, who worked for Walling’s great-grandmother for decades — originally, as a slave. Read the rest of the story and listen to the NPR interview of Ann and Andrea here. PS I will be trying to contact Ann and Andrea to invite them to join Coming to the Table and inform them about BitterSweet: Linked Through Slavery. Thanks for sharing this story, Felicia. It speaks directly to a conversation held by the Linked Descendants group last month. The question posed to kick off that discussion was what would people like to say if they could talk to a descendant of someone who had owned their enslaved ancestors or to a descendant of someone their ancestors had enslaved. That conversation reminded me what a powerful experience it is to even think about those connections, much less to make them, as Ms. Scott and Ms. Walling did. I do hope you connect to them, because I would love to know more about what they felt and thought as they considered connecting, when they actually began to talk, and as they have continued to interact. I would love to have their personal report to fill out more of the discussion on our conference call. I think you are right, Felicia, about more and more people looking for their “linked descendants.” Suggests that many people are bone weary of all the segregation — of our lives, of past truths, of our own feelings — that we have lived with for so long in this country. Beautifully said. Bone tired is right. Dave, can you believe that I just found this very direct, wonderful post from you? Somehow I’ve been missing all comments from WordPress. Arrggh. Having not yet read Sunday Dinner, but – prompted here to learn more – I am heartened both by the depth of priestly meditations and the quality of her fact collection. Rumination without deep understanding leaves us just as vulnerable as the “carefully choreographed dance of Southern culture, Methodist Church rites, and … intricate family pecking order” which for generations normalized bias and injustice. I am most impressed that Ms. Walling would follow up, by coming out of the contemplative realm to engage Ms. Scott … and let a public conversation flow. I had not been familiar with the term “right order.” Having it described to me, I recognize the constituent parts of white supremacy. I imagine these interlocking re-enforcers indicate where the work of social justice needs to take place. FYI Ann Walling has “liked” Linked in Nasville, a small but important notice that she has found BitterSweet and Coming to the Table.